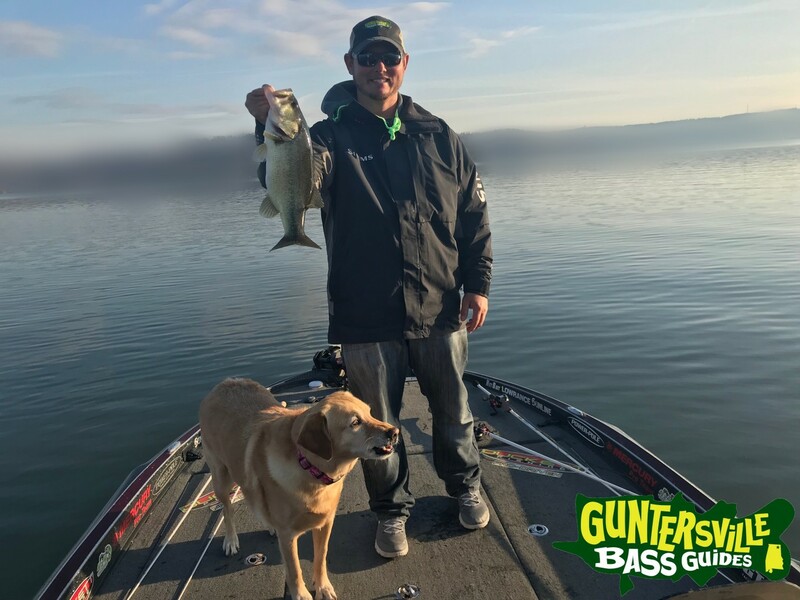 Here we are, its 2018 and Lake Guntersville is still producing big bass. 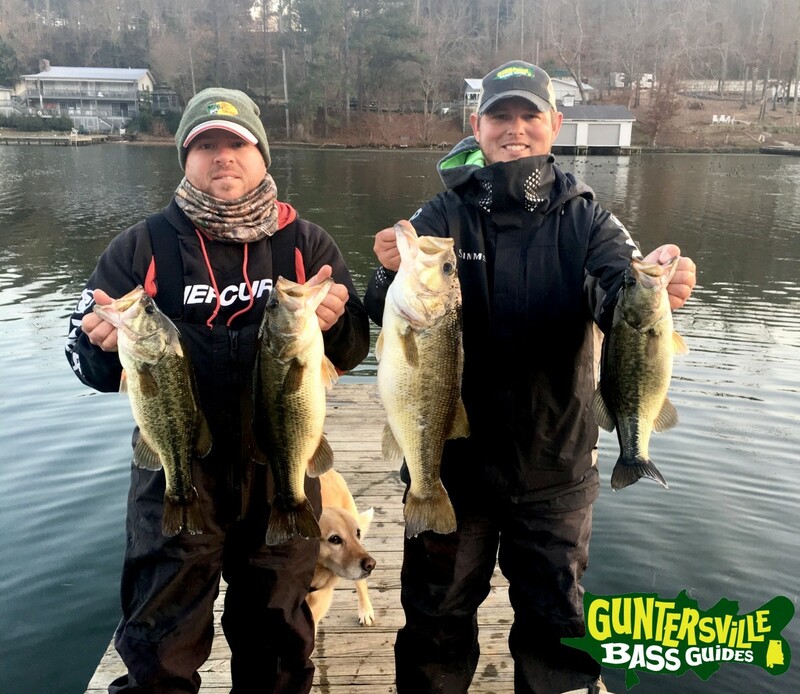 Mother Nature greeted Gville with a massive cold front on New Years Day, on Saturday we had our annual New Years Day Tournament and we seen a lot of nice 5 fish limits at weigh in time. 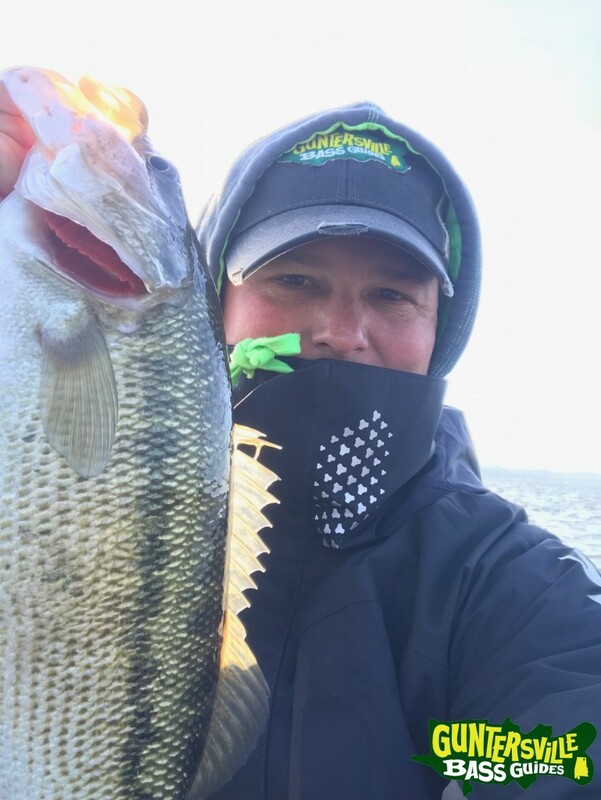 The water temp was 49 degrees and the water was clear and after the 2nd day of the temps being below 32 I and going to take a guess and say they are 45ish. Picture this …. Crossing Browns Creek this morning looking towards the big river bridge there was steam coming off the lake … okay this is something we see in October mostly …. so it was 18 degrees this morning and the water has to be in the mid 40’s I’ve never seen that this time of year ever.. It was neat to say the least.. Back to the tournament 23 lbs was the winning weight with a 8 lb toad. Eric and I had 18 lbs wasn’t good enough to win by a long shot, the lake changed in 1 day well TVA stopped pulling water through the dam and the fish I had been on just didn’t want to do much, we could only catch 1 fish off a spot and we fished about every spot he and I ever fished that we caught a 5 pound of better fish so we was from 5 feet to 30 feet of water and caught fish some was good and some didn’t make the team. 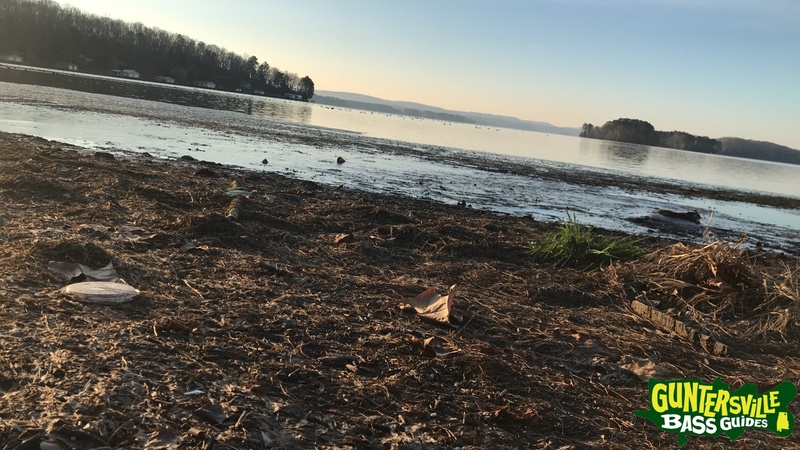 Guntersville is still full of green grass, I’m sure this cold will change that some. 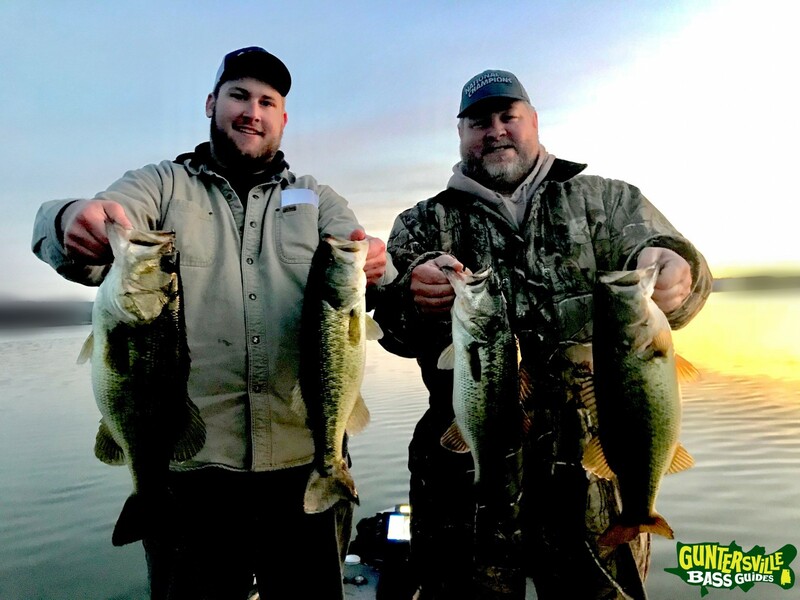 Last few trips we have targeted grass with Lipless Cranks, Jerk Baits, and Square Bills one of the keys have been getting the bait hung up in the grass and popping it out and on the pause is when the strikes have occurred. 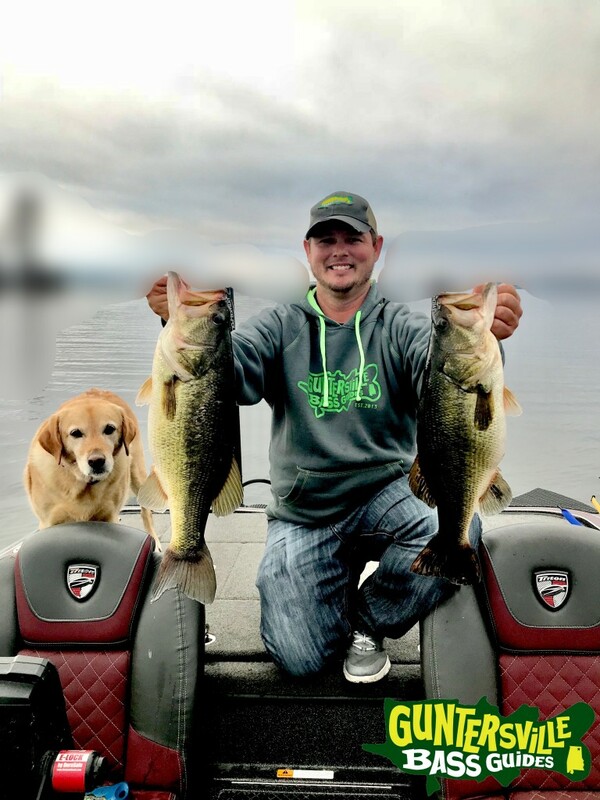 Color has not made that much of a difference up to this point with the cranks, now on the jerk baits Black and Chrome and Blue and Chrome have been the best . 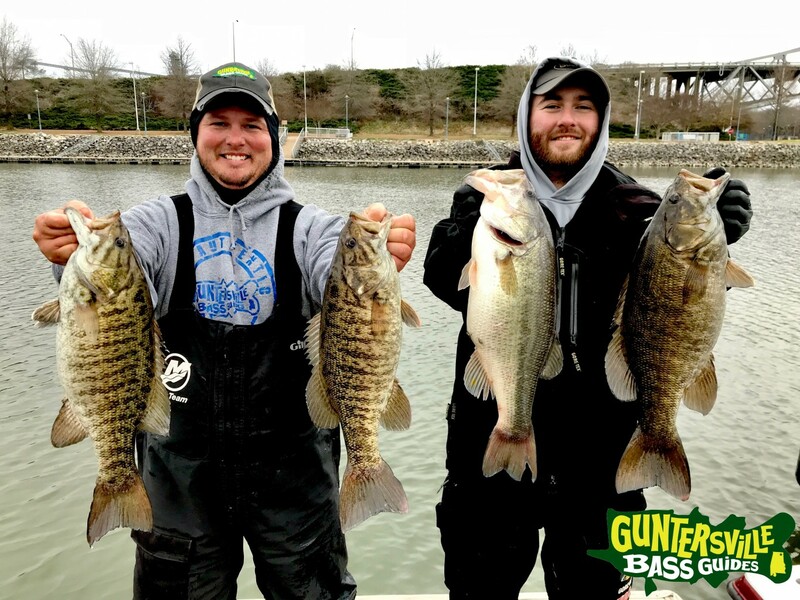 I did go over to Pickwick on Christmas Day and fished with Taylor Luna, we did get cold but it was worth it..
My customers that fish with me will receive a custom T-Shirt on the day of the trip..